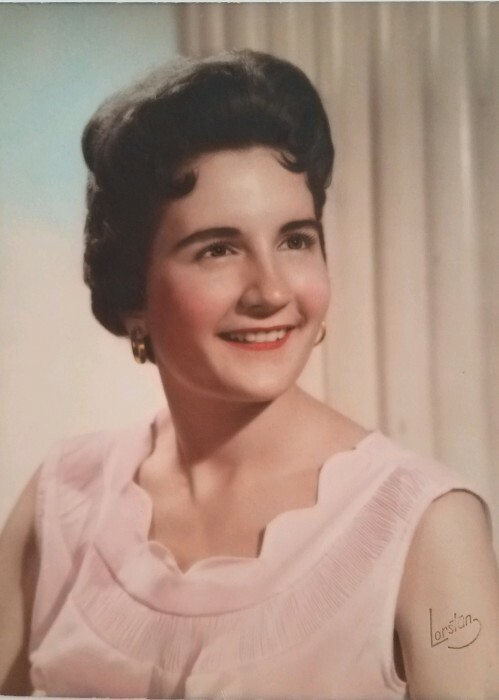 Helene Chamuras Juvelis, 80, of Chatham, formerly of Roseland, passed away peacefully on January 13, 2019, surrounded by her family. Born in Newark, she was married to her cherished husband for 56 wonderful years. Helene enjoyed meeting people and made friends wherever she went. She loved travelling, entertaining and was passionate about her Greek Orthodox faith. She is pre-deceased by her husband Stelios Juvelis, her parents James and Aphrodite Chamuras, and her brother William Chamuras. She is survived by her children Aphrodite Calabrese, her husband Vincent, Janelle Juvelis, Vanessa Juvelis-Mitchell, her husband Robert, Jaime Andrews and her husband James, 9 grandchildren and 1 great-grandchild. Visitation at the Leonardis Memorial Home 210 Ridgedale Ave. Florham Park on Thursday from 2-4 & 6-9pm. Funeral on Friday assembling at 10:30am followed by the funeral service at Ss. Nicholas, Constantine & Helen Greek Orthodox Church in Roseland at 11:30am. Interment at Restland Memorial Park in East Hanover.